Martin was very helpful and so was Max to help me understand the work they were going to do to my Isuzu NPS. 300 which included a stage 2 tune and EGR. Mods. after their work was completed I was very impressed with the power gained and fuel consumption appears to better on the trip home , so thanks guys I certainly wouldn't hesitate to recommend you to other Isuzu owners out there. Keep up the good work guys Cheers Nasty. I have for my skoda yeti an original Columbus navigation In the eye. 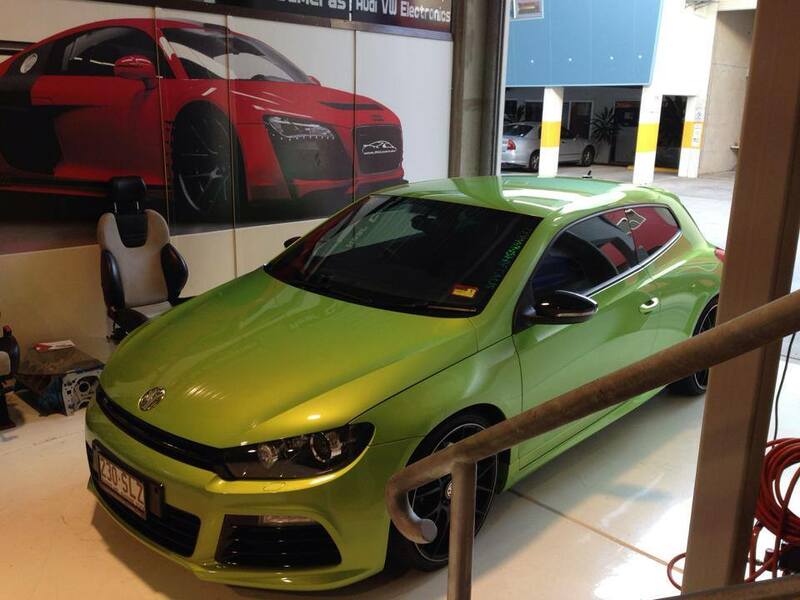 I became fussy at Euro Car upgrades Maroochydore. Martin advised me exellent and showed me the possibilities in my case. I was after the installation very surprised what his team for me on the legs. Everything works as built by the car manufacturer Skoda, it is fun with the Skoda Columbus. Euro Car upgrades I can only recommend. Thanks again Martin and your team. Excellent communication and service from a professional team of guys that obviously love what they do. Had my 2013 Amarok EGR and DPF work completed with a stage 2 tune, fantastic results in increase power and torque that can be felt straight away.I feel a lot safer travelling long distances after eliminating known new technology diesel issues. Thanks Martin and team. Really prompt and amazing customer service even with my 50 questions. I needed an upgrade DVD for my 2009 Mercedes SLK navigation system. As any Mercedes owner knows, the cost of these upgrade DVD's is outrageous, and that's putting it mildly! My local dealer wanted $700 for a 2014 update (apparently the latest and last for this system). I got it from Euro Car Upgrades for $150. It arrived within a couple days, has been installed, and works fine. I am a very happy customer! I recently imported my Audi A4 from the UK and was very frustrated by the unhelpfulness of Audi Australia who refused to install Australian maps. Then I found Euro Car Upgrades and Martin arranged for the MMI 3G system to be sent to his facility and upgraded. Both he and his contact in Sydney were very helpful and the system now works perfectly. What a relief! Highly recommended. Had very dirty chrome laced spoke wheels on my motorbike and nothing would bring the shine back. Got onto this product and they don't just shine now THEY GLEAM!!!! get lots of comments from friends....."wow how do you get that gleam from your rims?" I tell em loud and clear!! Bought Night Vision for Audi A7 2013 3.0 Bi-Turbo from Euro Car Upgrades and their customer service is outstanding. Night Vision is not an easy retrofit but with their support we got it working without problems. Recently my Audi MMI failed. I took it to the local Audi Dealer, and he said the car is 6 weeks out of warranty, they cannot fix it and it is $10,000 to replace. Their attitude was pitiful, never called back, indeed hopeless. 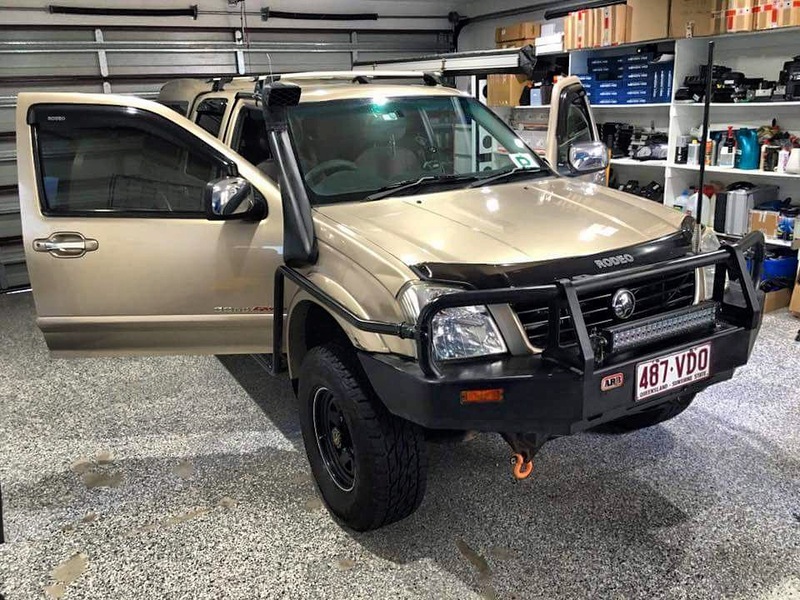 We contacted Euro Car Upgrades in QLD, within 48 hours I had a replacement unit at a fraction of the cost, it all worked well and I am greatly relieved. Well done guys, you set me right and saved me a fortune and I am very appreciative. Thank you so much. Paul from Sydney. Bought some Sonax Xtreme Wheel Cleaner, product is very hard to find in Australia and it works very well. Euro Car Upgrades sent the product quickly and communicated well. Will definitely buy again. I have only dealt once with Euro Car Upgrades (update for and Audi satnav DVD). I found them very easy to deal with, ordering was a breeze and the DVD arrived very quickly and what is more it worked! Happy. 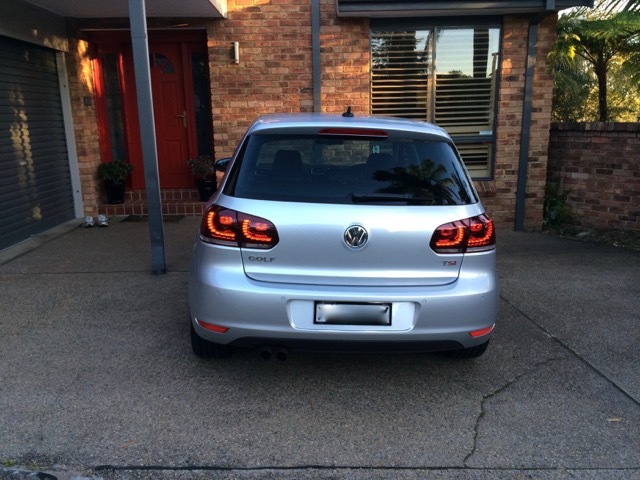 Euro Car Upgrades provided great customer service and made the purchase of my tail lights an absolute breeze. They went the extra mile to answer all of my questions and even refer me to an authorised installer. Delivery was very quick and tail lights were extremely well packaged. Look forward to the next purchase! 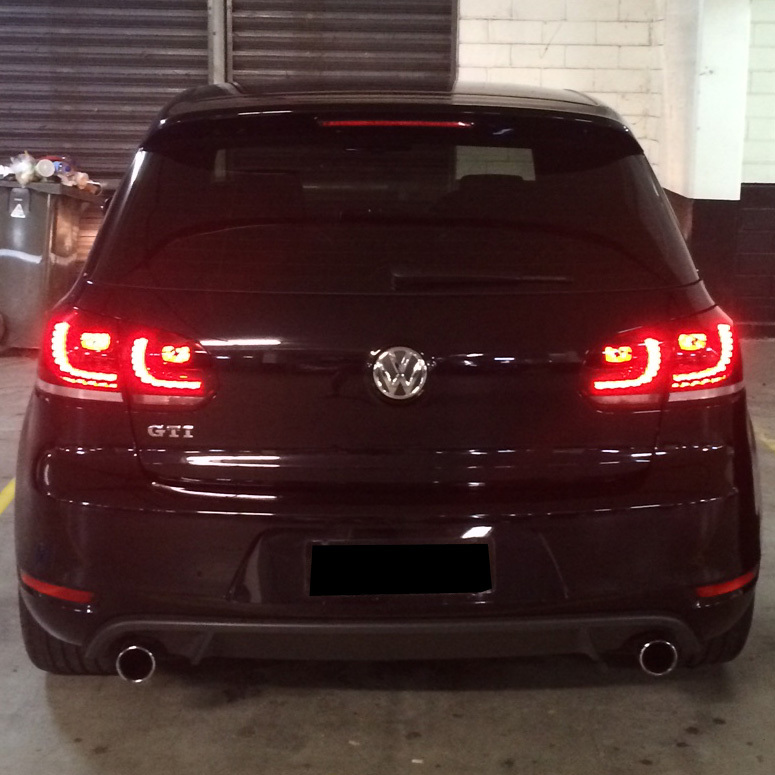 A few months ago, I purchased a Volkswagen Golf 6 R LED Taillights Retrofit kit set up for RHD. I have to say that from consultation to delivery of parts and installation, Euro Car Upgrades has made the whole process quick, easy and enjoyable for a first time car modifier. The parts arrived carefully packed and well within the time-frame quoted for delivery and in the months following installation, I have not had any problems at all. I am still receiving compliments on the upgrade to my car and it has certainly refreshed the look! Any European car enthusiasts who wish to modify their car, look no further for excellent customer service, outstanding products and an efficient point to point transaction experience. I would have to be THE most difficult customer Martin and Steve has ever dealt with! I'm very fussy to say the least and the thorough explaining and knowledge from Martin, combined with the passion and quality work that Steve has noticeably done makes a great team alone not to mention the other staff I had nothing to do with. I realise now how hard it is to retro fit something into a euro car from the rude, unprofessional manner I experienced from Audi before finding Euro Car Upgrades. Martin and Steve proved to me that there are still honest and genuine people to do affordable business with and you better believe that in the euro car dealership business, is damn hard to find!! Keep up the excellent customer service Martin, and please give Steve a pay rise. I always thought that there are no friends in business but you proved me wrong..
After a few months considering various chip tunes for my Skoda Octavia VRS, I came across Euro car Upgrades on the web. Martin returned my inquiry very quickly. Drove up from Brisbane and the job was done in a morning. Haven't stopped smiling since! Would recommend without hesitation. Thanks Martin. Hast service. Martin was friendly professional and went far above the standard service. Have no hesitation in recommending. Will be back. Great giuys, easy to order from with prompt interstate delivery. Just waxed my Subaru perl white XV using the Euro Car supplied Sonax Xtreme polish and wax 2 followed by the Sonax Premium carnauba Hard Wax after having previously used AGs HD carnauba Wax on the XV and Meguiar's Ultimate Liquid Wax on the Impreza we owned before it, the Sonax products were better for 4 reasons. 1) The Sonax Xtreme polish and wax 2 was easy to apply and and hand remove with little effort had no trouble removing the minor micro starches in prep before using the Sonax Premium Carnauba Hard Wax. 2) Straight away found the Sonax applicator as provided in its Premium wax package easier to use in maintaining an thin layer when applying the wax. 3) It is easier to see where I've waxed and to remove the applied wax without the light streaking I've had previously using Meguiar's Ultimate Wax. 4) Most important and a bit of a surprise, the Sonax Premium brings up the Pearl in the white paint in such a way it nearly glows, this is something even my wife commented on whether under carpark Florescent lighting or bright sunlight. The previously used AG HD wax was probably as shiny but for some reason flattened the paints perl. No reflection on Euro Car Upgrades (?) but somewhat disappointed that the Navigation Upgrade (March 2015 for Porsche Cayenne) does not include the Hunter Expressway which opened more than 18 months ago! Product delivered, as described and very quickly. The AUS Nav CD for Porsche PCM 2.0 arrived this morning and worked perfectly on a Jul-2004 996 with PCM 2.0 (running PCM 3.0 software by the main+trip info). It took about 5 minutes for it to boot and load the CD but given the last known location for the car was in Germany that’s doing well. After many emails to Martin regarding the possibility of having the Dynaudio Sound system, Discovery Pro 8" Satnav and BlackVue dash cam fitted to my brand new Golf R, I took the plunge and placed the order. Martin and his team were always accommodating from the very beginning of initially getting info, confirming inclusions, order placement and finally, the installation. The team took on a massively ambitious task over the course of 3 days in which they had to fit the above mentioned kit, hitting a few unexpected hurdles along the way (due to the 2015 model), I was kept informed of the progress they had made each day. Martin and the team worked overtime to ensure I could take my car home (just shy of a 4 hour trip) on the weekend as previous organised with them. The quality of work is fantastic and the level of detail and care from the team was exceptional. Martin couldn't have done enough for me. Absolutely wonderful service, in which I wouldn't hesitate in going back again for further parts and service. After sales/installation support is tremendous and Martin happily answered my questions I had with the newly fitted parts and system. Service which would be hard to beat! Top Job guys! - Very happy and extremely please with the outcome! You have managed to make a great car even better. 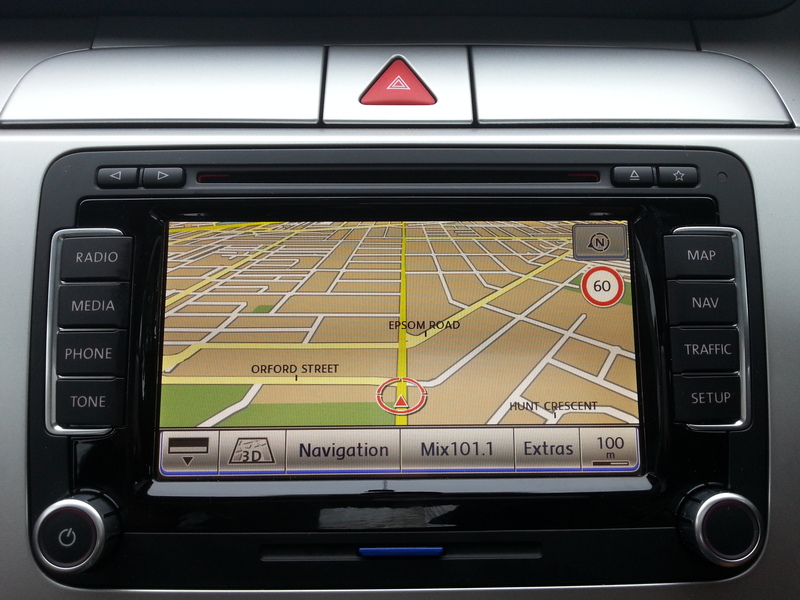 I have had a RNS 510 Nav system and reversing camera fitted to my Mk6 golf and I am a very happy man. Alistair in Melbourne did an excellent job and explained how to use the Nav system well enough to get me going. I was also very happy to find I had the latest release of the maps pre installed instead of having to purchase the upgrade CD separately. The Badge reversing camera is a great idea. Being closed away when not in use its always clean and clear when its needed. Thanks for the recommendation when I was purchasing it. Wonderful Service by Martin and the Team, Always so helpful and informative! Martin helped put my mind at ease when I wanted to have an aftermarket speakers and head unit system fitted to my golf Mk7. Great work guys! Great price and super fast delivery service, highly recommend these guys. Genuine great product, hassle free with great service in installation. Very detail on product description and very informative with the installer. Highly recommend with the over service!! Hi Guys, Product is just great - genuine parts for tow bar controller that just plug in as should and work. Also very helpfully and full of information. For those getting VW dealers to fit a rear view camera, as these guys told me, if they are doing it for around $1000.00 is not a genuine camera. Don't be fooled, VW dealers will not fit any accessory for under $500.00 for the fitment cost. Will be buying the rear view camera from Euro Car Upgrades and fitting it myself. The most trouble free, fast, and friendly business to purchase from. Bought my RNS510 unit from them a good couple of years ago, any problems I had were quickly rectified. Well connected too as they knew plenty of people in NSW to help me install the unit. Back in February, Euro Car Upgrades replaced the standard head unit in my 2010 Volkswagen Tiguan with an RNS-510 SatNav unit, as well as adding and integrating a factory reversing camera and bluetooth. In addition, they properly rewired existing after-market fog lights to a new VW light switch, removing an ugly and inappropriately mounted after-market switch that the previous owner had fitted. Lastly, they fitted a nudge bar from East Coast Bulbars and mounted a set of Hella driving lights from my old car. 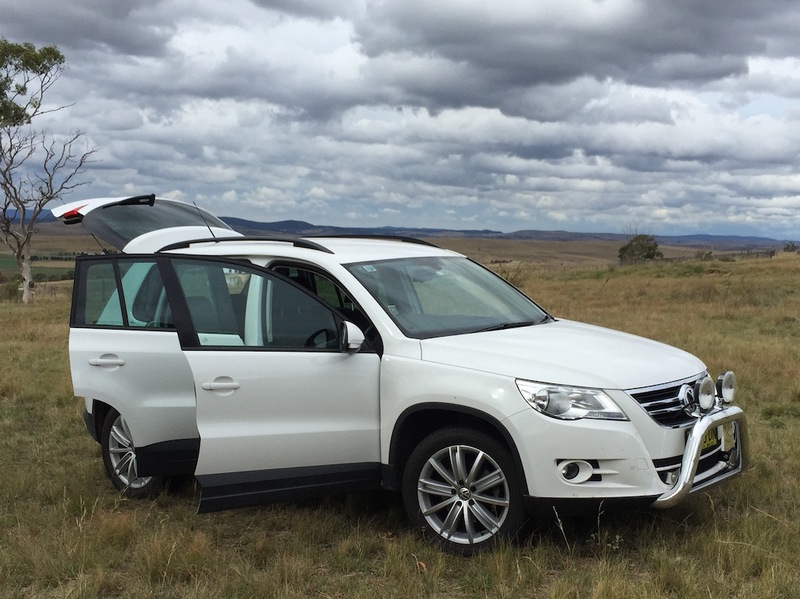 In planning for this upgrade I did a lot of research, and quickly determined that Euro Car Upgrades are one of the most highly regarded VW re-fitters and mechanics in Australia. Therefore, despite living in country-NSW and having access to similar services in Sydney, I decided that I would get them to do this work when I had the chance to travel North. Martin and I exchanged a number of e-mails beforehand so I could get an understanding of the many options available, and this allowed me to finalised exactly what changes I would get done. The job took two long days, and of course it didn't all go without a hitch: but the true measure of a company is how they handle things when they're not quite perfect, and in this regards Euro Car Upgrades didn't disappoint - they followed up until everything was just right. The standard of their work is excellent, everything works flawlessly and I couldn't be happier with the result. I highly recommend them for any upgrade you might be thinking of getting done. To anyone thinking of purchasing and item or getting OEM parts installed then do not hesitate to deal with Euro Car Upgrades. I have received nothing but some of the best customer service from him I have ever had - and I am one of those fussy car enthusiasts types who requests parts and extras normal people wouldn't even think of. Add to this Martins professional approach to answering all email and questions often outside work hours and in his own time. Thank you again for all your help and posting parts out that arrive on time and when required. Do not touch this company! I was told over 25 of these Amarok LED lights had been fitted in Melbourne alone. The initial mechanic shop in Moorabbin stopped installing these due being a waste of their time and now I find my lights for a 2013 won't work either. After 2 days with mechanic in South Melbourne and many calls to Martin for help he refuses to respond. His wife simply said "his gone home for the day" it was 1:30pm Martin has left us (mechanic and I) high and dry and now I do not have a car, its Friday afternoon, I'm 120km away yet Martin doesn't care. His wife repeats "we have great customer service" No, they do not! no one should be left carless with no way of getting to work especially when I live in the country. Martin has been very helpful and prompt to respond with all my questions. I wouldn't hesitate to recommend Euro Car Upgrades. Brought the A3 in for 30,000km service today and it is now fantastic! The car runs superbly and couldn't be happier with pricing. Thanks for helping us out with it Martin, can wait to do more future purchases and servicing in the future. Cheers! Fantastic customer service! 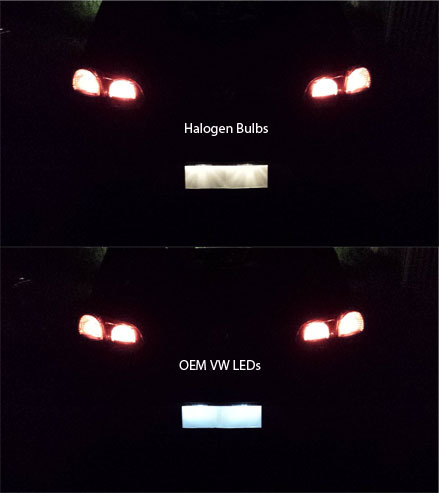 I bought some LED tail lights and license plate lights for my Golf GTI... received them the next day. All products were great quality, 100% genuine. The LED license plate lights were the wrong type for my particular car but Marty was quick with his help, offering advice and eventually issuing a prompt refund. LED tail lights were perfect.. they look and fit amazingly. Couldn't be happier with my experience! I just had my RNS510 and reverse camera installed by Steve who is very experience and with passion in the entire job. What impressed me is his expertise knowledge and work for excellence. The tools he was using is extremely professional. Well Done. I'm a first time VW owner. I bought a Passat CC 2009. I noticed that the maps in the Nav system were hopelessly out of date, I gave Martin a call, he said come on over. As soon as I got there he was onto it. Not only did he update the mapping system, but he diagnosed the rest of the system, as well as the bluetooth system, all at a more than reasonable cost. I'll be back, great service. Extremely impressed with the client experience. Very professional and clean workshop, always helpful and only happy to go the extra mile. I would happily recommend Audi Upgrades to anyone with a European car looking for any work. I will certainly be using them again. There's no job too big or small. Thank you very much Audi Upgrades! Can't speak highly enough of Martin's professionalism in his business. Ordered the reversing camera at 4pm and it was at my place in regional NSW at 10am the following day! Now that's quick. Martin then put me in touch with his Gold Coast installer who has had years of VW experience. Installation was smooth and very well done. Safe yourself some trouble and get the right part and installation carried out with professionalism all the way. Well done Martin. After spending a few days discussing with Martin, which unit was right for me, I decided on the RNS 510 P, I placed the order Monday afternoon, Tuesday morning it was on my door step in Melbourne, and that evening, thanks to Alister, it was installed and working perfectly, five stars just doesn't seem enough, thanks guys, you set the bench mark for quality service. On Saturday 21st I had my RNSE coded and Bluetooth module replaced by Alister Bell which I would like to thank you for referring me to a genuine, extremely intelligent and honest man. This made my whole experience from the purchase to the coding delightful.The unit exceeds my expectations. Martin thank you for being so helpful. Look forward to purchasing more items from your store in the near future. Upgrading my 2008 Golf V 2.0 TDI with RNS510, MID, Bluetooth, CAN and Reverse Camera from JKU has been an entirely positive experience. Ordering was easy and speed of equipment delivery was truly impressive. Martin from JKU gave excellent advice about selecting the right mix of gadgets and quickly followed up every email question I had showing great patience and understanding. JKU referred me to SteveB in Sydney for installation and his workmanship was impeccable. His vast knowledge about electrical and other system found in the VW family of cars, including detailed familiarity with the upgrade equipment and installation process really set my mind at ease. Steve really knows his stuff and is a credit to the JKU Sydney installation service offering. I am thrilled with all the new equipment in the car and would highly recommend anyone considering an upgrade go with the seamless "original OEM" upgrade equipment supplied by JKU and installed by their network of technical experts. I have little doubt that I will be a return customer. Many thanks again to all involved - Costanzo, Sydney NSW. Thanks Martin for quick response to all my questions. Very quick and smooth order process and just as quick & smooth installation. Cheers mate, will be ordering again. It has been the best phone advice and instructions I have had in a very long time. will definitely buy more products. Martin did an awesome headlight upgrade on my Skoda in a professional and timely maner. Have no worries recommending him. The team at JKU are unusual in this day and age - they under-promise and over-deliver! And, they charge what they say they will - there's no surprises when it comes time to settle your bill. Their work is outstanding. Sure, you may be able to find the similar products for a bit less on the internet, but the few dollars saved then will quickly be forgotten when it comes to having your products serviced and looked after... Martin and his team are a rare species indeed these days - they actually do what they say they will do! And they offer 1st Class service throughout the sale/servicing process. I'll have to upgrade my RNS510 soon, but Martin upgraded it, and added features and effectively extended its life for another year for me! Yes, I could by a Chinese copy that promises the World for less than the price of some of JKU's products, but I wouldn't be looked after the way the JKU team has looked after me! And for me anyway, support is critical! Excellent customer service! The goods arrived as promised the day after the order was placed. Martin quickly and comprehensively responded to my email queries giving me full confidence in the whole system - all the things you want when making an online purchase. I will definitely purchase from www.JKU.com.au again! Well done! I decided to choose JKU after having read reviews on one of the VW forums. I found them to be incredibly professional and quick with the install. I would have no hesitation in using them again, and have already spoken to friends about upgrading their vehicles! Very professional and helpful service. Highly Recommend. Excellent customer service. All my emails and questions have always been dealt with in a professional and speedy manner. RNS-510, ordered, payment received & dispatched on the same day. Outstanding service before & after sale. Thanks again Martin. 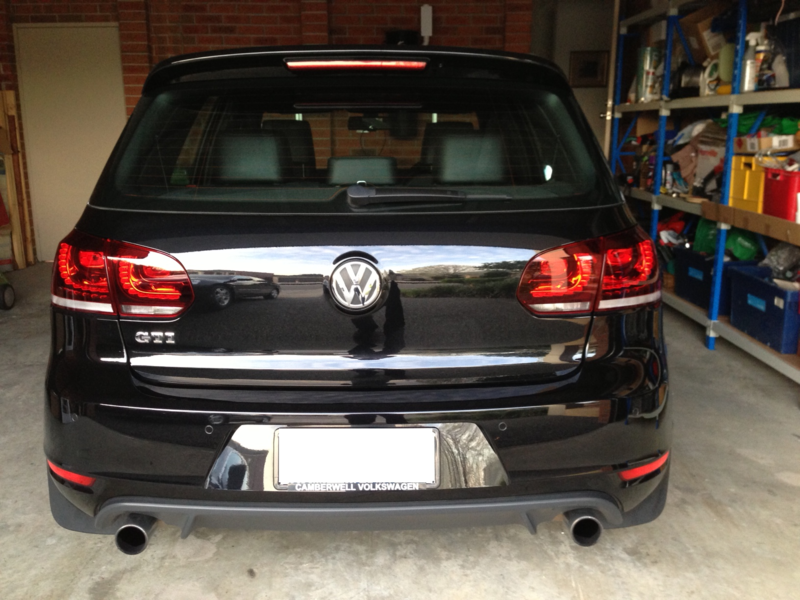 I recently bought a RNS 510 (D LED 2013 V6 Maps) from Audi Upgrades to be fitted to my MY13 Polo 6R 77TSI. Martin was great to deal with from the very beginning and always spends the time to reply to my multiple email queries. 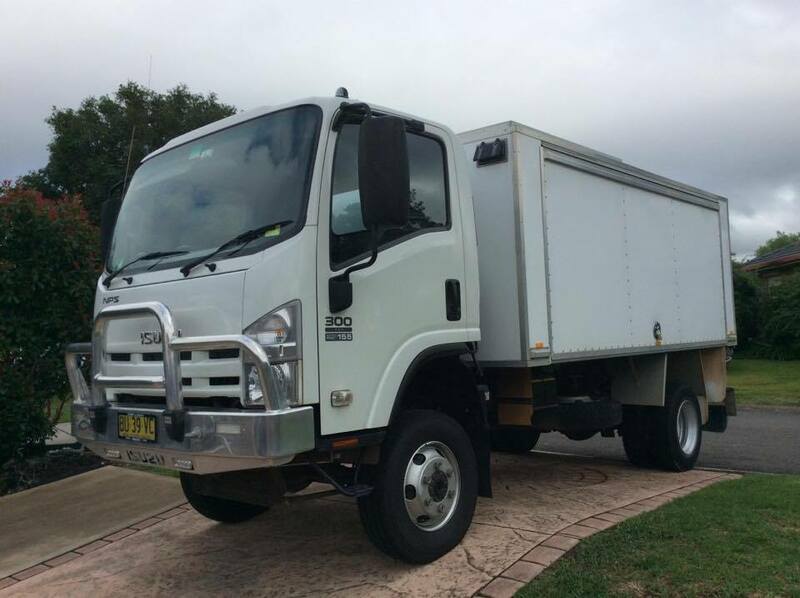 The unit arrived in great condition and only took a couple of days to arrive at my front door step after a deposit was made. The RNS 510 is working as described upon installation. I'm completely comfortable in dealing with Audi Upgrades again in the future, and already planning for my next VW OEM retrofit for my Polo with Audi Upgrades in mind. Martin is a professional who adheres to the highest standards. The map upgrade to my Audi was faultless and it is great to now have updated maps with Brisbane's new motorways. I wouldn't hesitate recommending Audi Upgrades. It will save you a small fortune. I was a little concerned even though much cheaper than the VW dealer it was still a lot of money. Now have a brand new RNS510 in my MY13 Golf 6 and it is exceptional. Martin was very easy to deal with and the head unit arrived a day after purchase. The installer was great and gave me a lot of feedback and information on the unit. I cannot recommend Audi Upgrades more highly, very satisfied purchaser of a VW RNS510. AudiUpgrades did a fantastic job to 'modernise' my Audi Q7 with the HID kits. Martin outlined all the options available to me and provided a very cost effective solution. 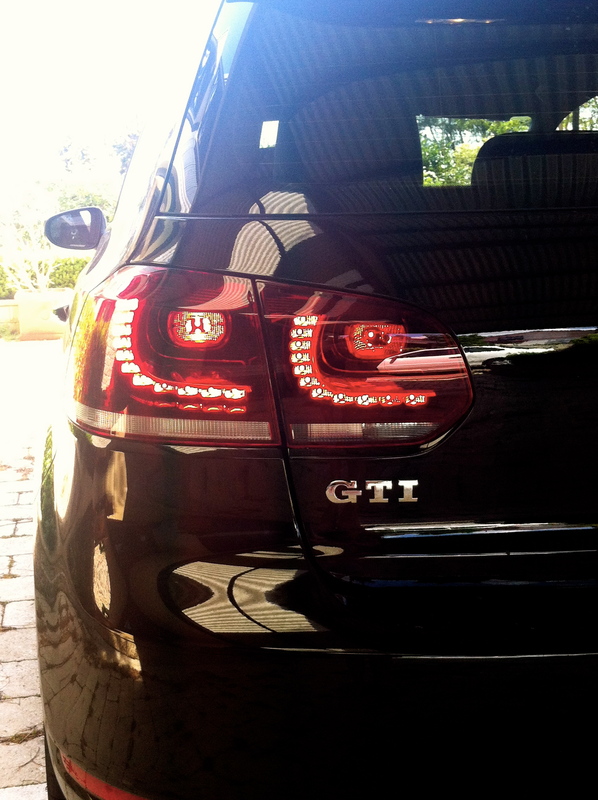 Combined with the attention to detail with the installation, any Audi and VW owner must consider AudiUpgrades! I recently purchased a 2006 Audi S4 and wished to upgrade the standard entertainment unit to an RNS-E Audi Navigation Plus Unit. After considering all associated vendors, I contacted Martin via Ebay and after consultation decided to upgrade to the 2012 model rather than the advertised 2005 OEM unit. I am more than satisfied with the unit and the professionalism of Audi Upgrades in the purchase, post sales service and advice in regards to the unit, especially given the fact that I am across the other side of the country. I highly recommend (and have since done so) his services and company to any who are considering upgrading or replacing electronics or tuning components of their vehicle.